CAN BLACK MAGICK REALLY WORK FOR YOU? 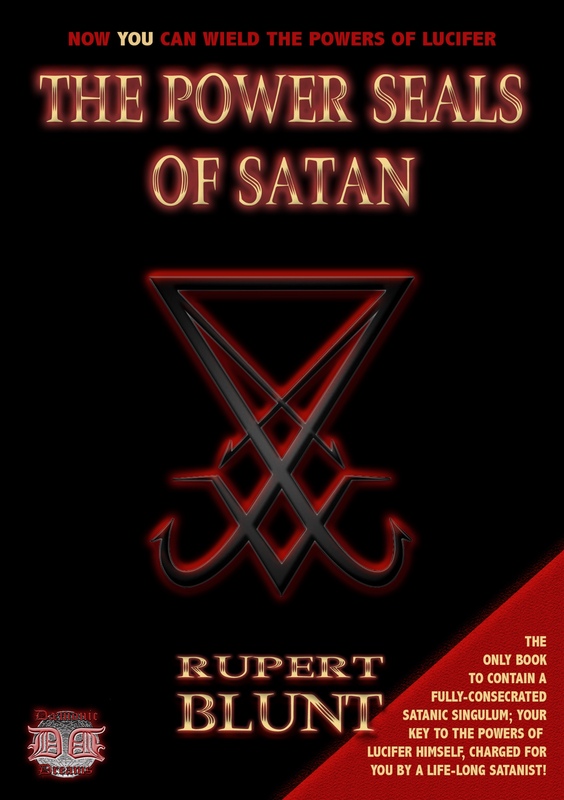 When he was 23, the author of THE POWER SEALS OF SATAN sold his soul to The Devil. Rupert Blunt, now in his 70s, has spent five decades as a practicing Black Magician. During this time, he has used the astounding powers of Satan to constantly improve his life, increase his wealth, and bring him everything he has ever desired. After half a century of experience, experimentation and learning, Mr. Blunt has finally agreed to share his secrets with you! In this remarkable Grimoire (powerful Spell Book), you will find twenty, massively-powerful Black Magic Rituals, which have been tested, over and over again  rituals that will unleash a flood of Money, Lust, Good Fortune and Power. Of course, most people do not have a spare 50-odd years, to develop these kinds of amazing abilities, which is why this unique book comes complete with an in-built Satanic Singulum  a specially consecrated object, imbued with Black Magical Power. It is this Singulum, prepared by Rupert Blunt himself, which will provide you with that elusive link to the stupendous Dark Powers, through which these Rites are performed. NEVER BEFORE HAS THERE BEEN A BOOK LIKE THIS! This book  over 120 pages, packed with power  is unique; each and every copy has been individually charged and consecrated. The copy you will receive is the only one of its kind in existence, and you will treasure it as one of your most prized and valued possessions. Be in no doubt, however  this is Magic at its darkest, and this title is ONLY available to over-18s. It is unsuitable for those of a nervous disposition. 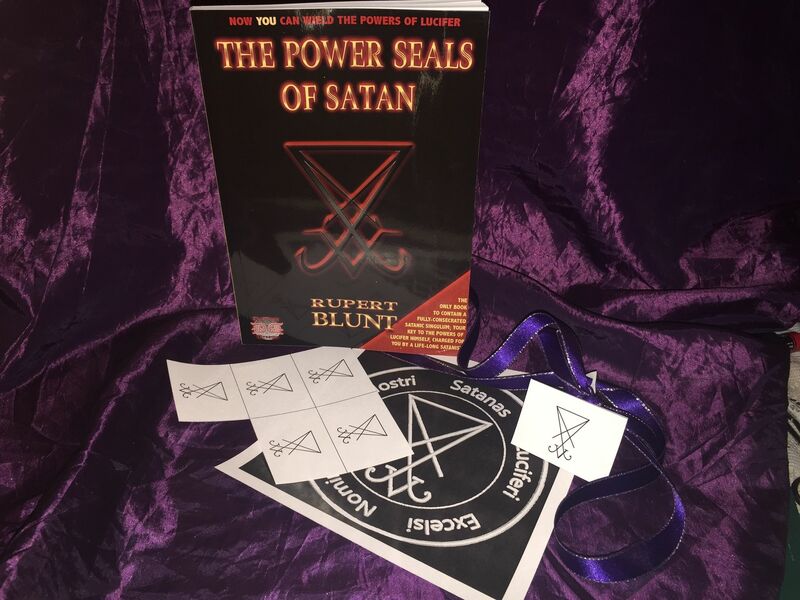 Although you will need no special tools or supplies (except a black candle, of you wish), this is  without a doubt  one of the MOST POWERFUL texts available today! If you are not 100% delighted with your purchase, simply return it to us for a full purchase-price refund (excludes shipping). NOWHERE ELSE can (or will!) offer such a guarantee for their titles!